Berlin based, Bauhaus educated, multi-disciplinary designer Hannes Grebin has created a group of upholstered seating inspired by the questioning of traditional domestic decor. 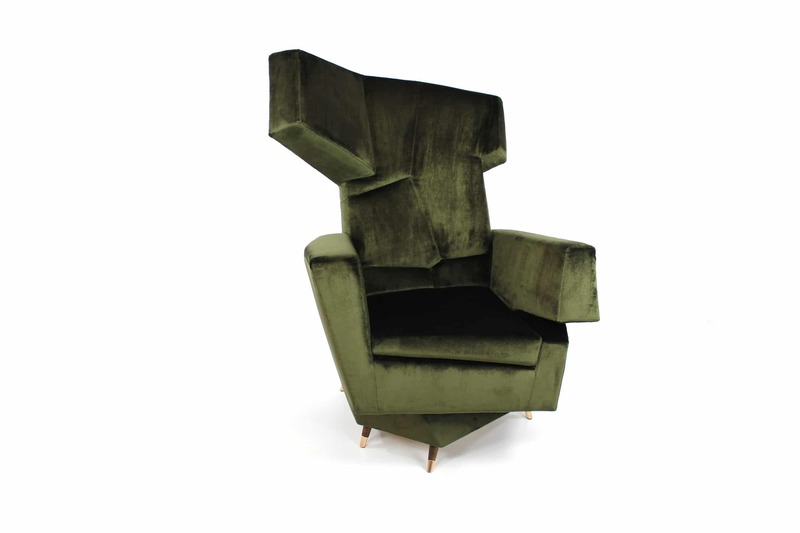 Applying the principals of Cubism to design, Grebin masterfully deconstructs the traditional shapes and detailing of a “dad’s chair” and the “family room sofa” into simplified geometric shapes and interlocking planes. Working with a master upholster in Berlin the resulting seating is hand-crafted with the highest possible level of materials and workmanship. 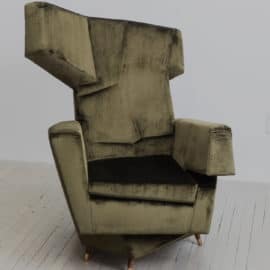 He describes the pieces as “living sculptures, which puts the traditional views about comfort and taste into question.” The “dad’s chair” a wing back style that dates back centuries has been re-analyzed, broken down and reassembled into Grebin’s “Cozy Chair.” It is both fractured and asymmetric but perfectly meeting the demands of ergonomics. 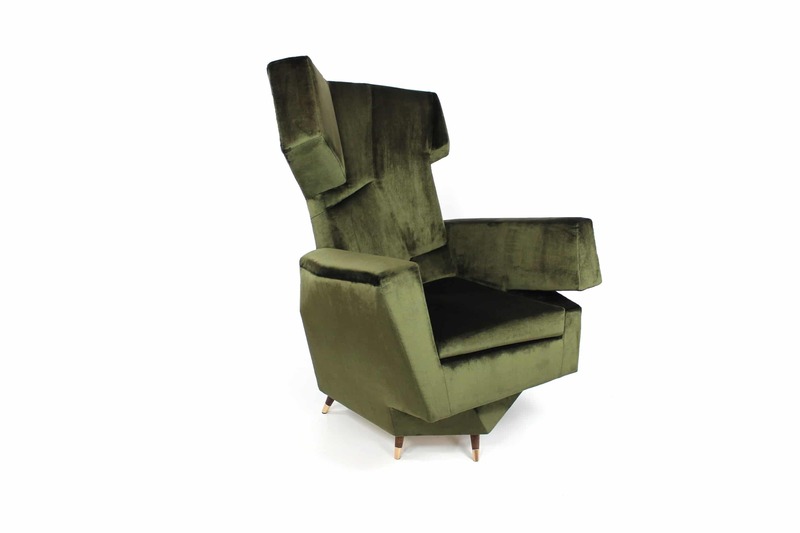 Angular and yet cozy, sculptural and yet functional, Grebin has struck a unique balance that makes The Cozy Chair an alluring work of design. 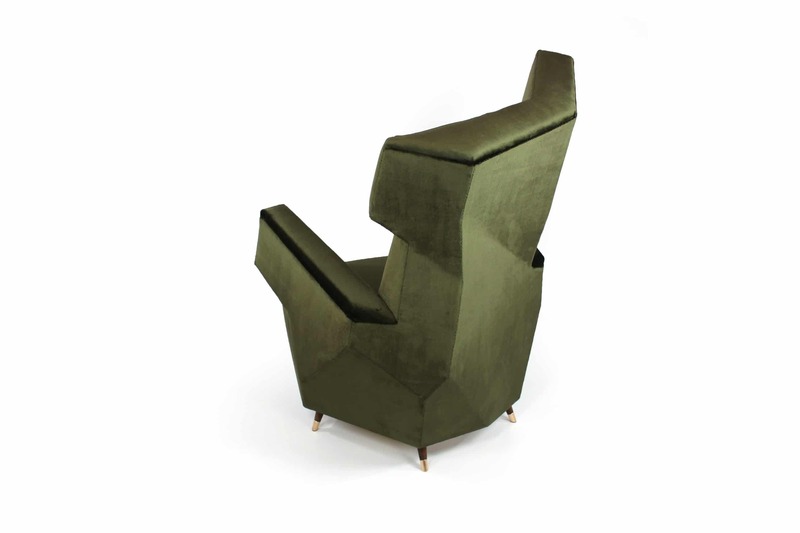 The faceted planes meet elegantly giving the chair changing perspectives with each glance. His design is both a deconstruction and commentary on the mechanization of modern life. 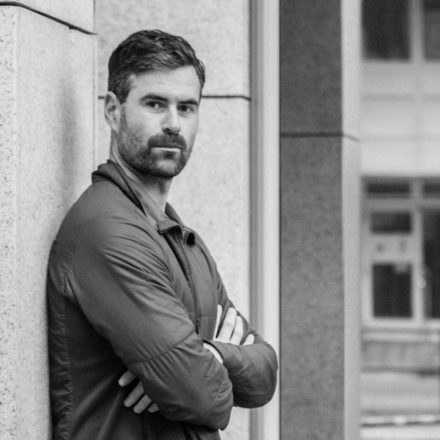 Grebin, the son of two architects notes, “Ultimately, I didn’t want to make just furniture. It was much more important for me that although all objects function, the design objects should become objects for discussion, in order to lead the theoretical design discourse to new ways and approaches.” Grebin’s innovative design work has been featured in Architectural Digest, Design Milk, The National, Apartment Therapy, Curbed among others.